San Diego Range Hood Stone a great traditional choice that is affordable. Faux seamlines in the upper hood. This gives a stacked limestone tile look. Scroll corbels sit below the arched panel header. Header also has a simple circular design in the middle. Below are typical dimensions. 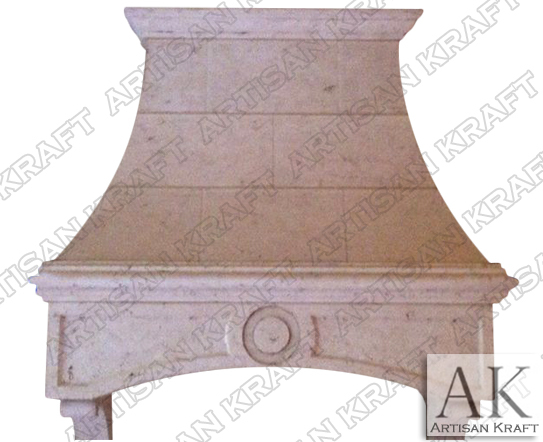 The San Diego, California stove vent fan cover can be made from marble and limestone. Ask about our copper vent fan covers. Please call for additional information or email for pricing.